Website update is under construction. !Photos Test & Tune Volkmarst 2014! 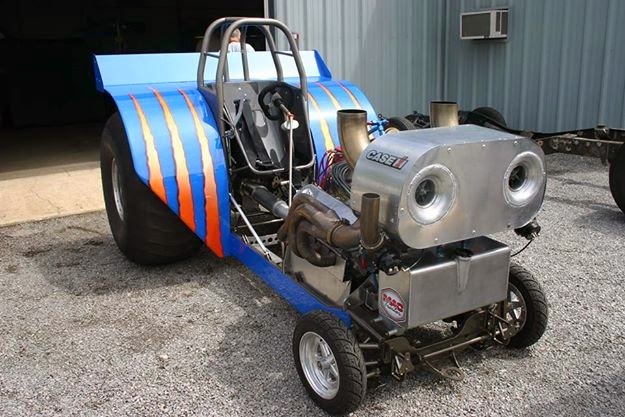 Hello, I work for Advanced Chassis and I would like to be added to your links page if possible. 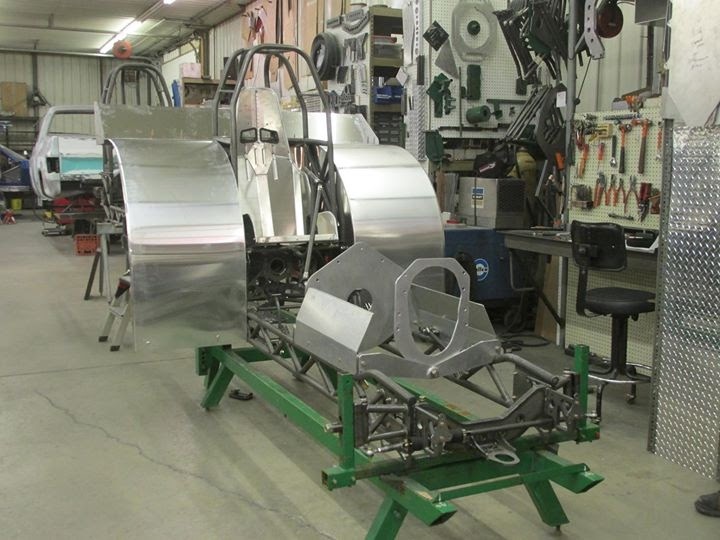 We're a chassis shop that has been in business for 26 years. 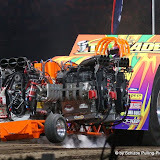 Originally we started with drag racing, but over 10 years ago got into the tractor pulling world by building 4 time National Champion Mr. Thundermaker for Lee Swift and Scott Schafer. 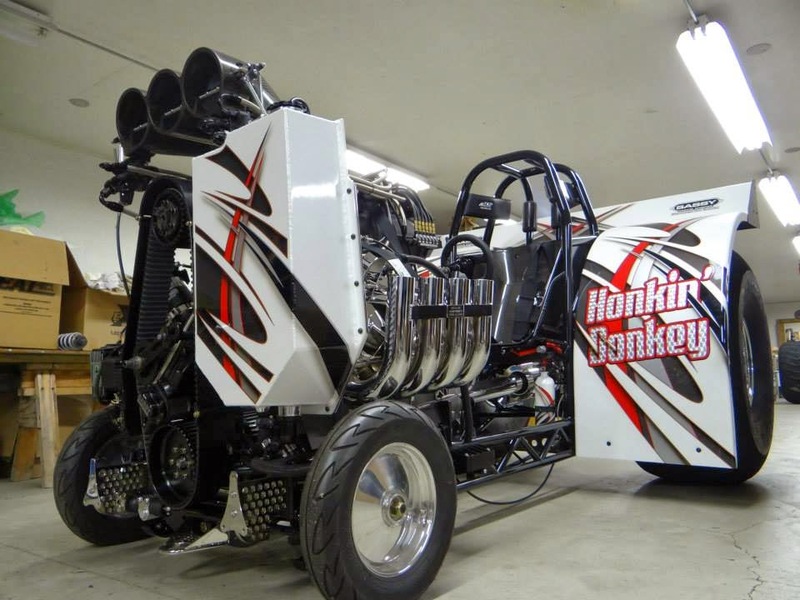 You may be familiar with our more recent tractors: Honkin Donkey red, black, and white, Jerry Thompson's Hell Raiser, Max Smith's Hawkeye Hemi, Rick Peter's Buckeye Special to name a few. We build mini mod frame rails, do sheet metal work, roll cages, fenders, and rear ends for mini's and 4WD trucks, custom headers, and custom built tanks and do turbo plumbing. Proudly I can tell you in the name of FITP and ÖTPO, that we made a cooperation to have more events with more competitors. Both Nations runs for national points at all 4 events and the common points represents the result of "The 2 Nation Cup". We are very happy all Teams and promoters are in vafour for this trendsetting project. More details will follow soon. The new Le Coiffeur Stage 8 is ready ! After a lot work in the last months, the new Le Coiffeur Stage 8 is ready. 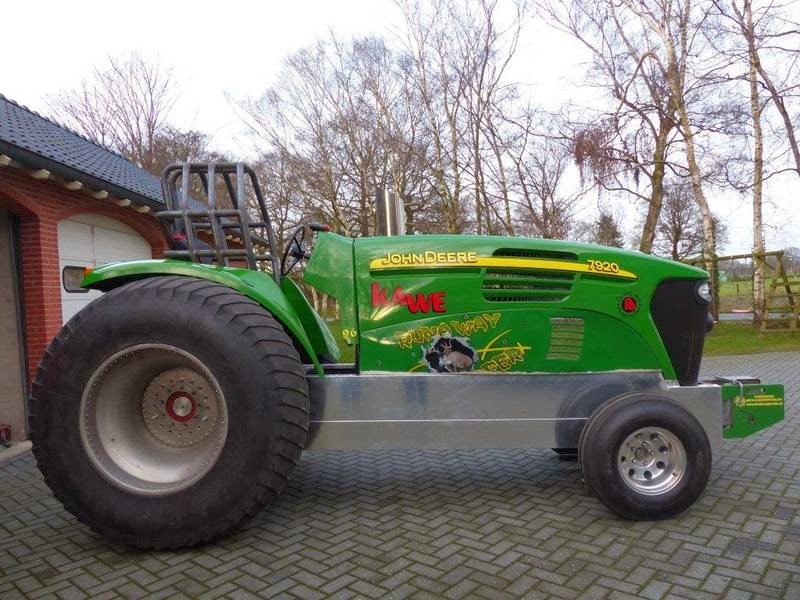 The new light modified (2.5t) tractor got a new Domex Chassis, a new homemade rear axle, a new colour design and a lot of other different changes, check here for further informations about the changes: http://www.pullingworld.blogspot.de/2013/10/new-le-coiffeur-frame.html. The Team will compete only in the german championships in 2014. 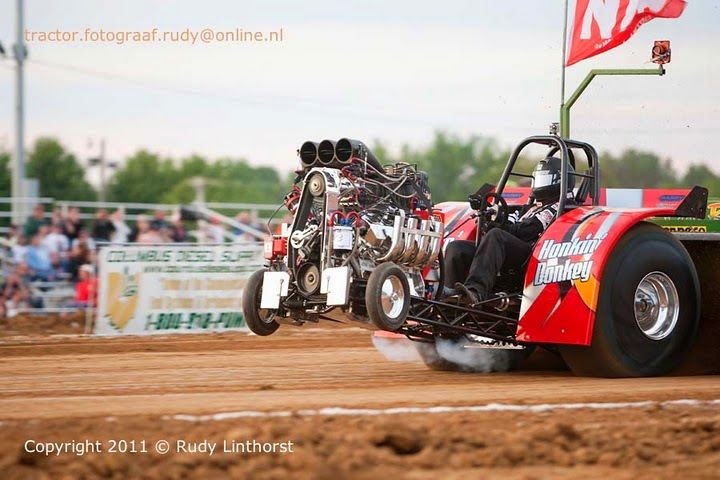 The first start is planned for the 6th of April 2014 in Riesa, Germany (German Indoor Pulling event). 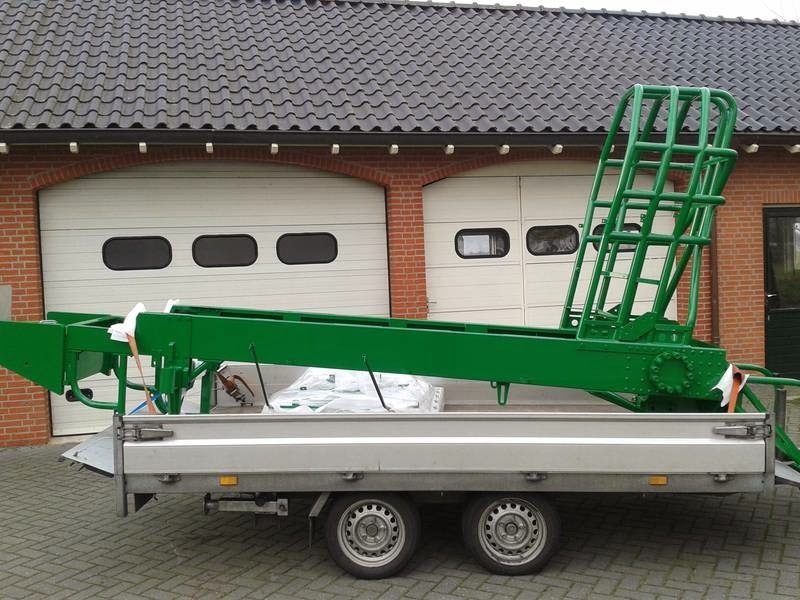 The The Challenger pulling team from the Netherlands are building a new Mini Rod at the moment. The tractor gets a new chrom molybdaen tube frame. 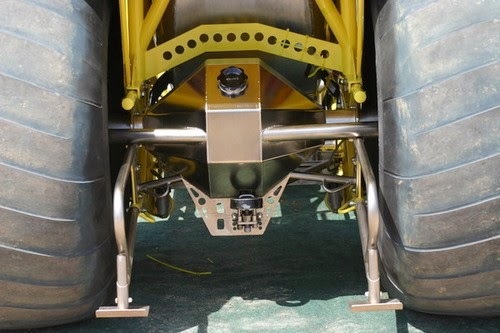 The driver´s position is more forwad and the center of gravety is lower at the new chassis. The team hopes to ger a better balance with the Cepek tyres with those changes. 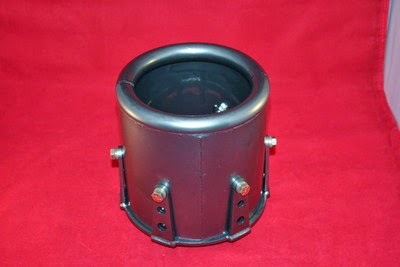 The rear axle is newly constructed and lighter. 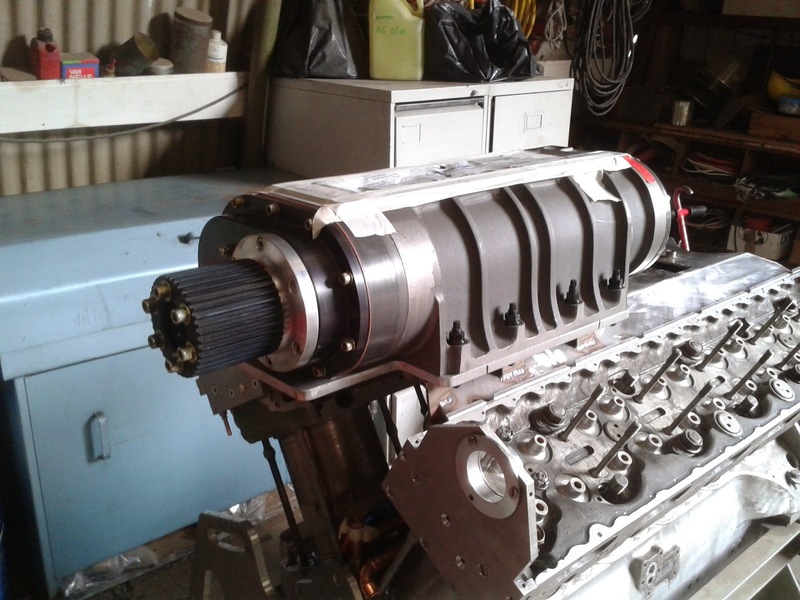 The RR Rover Meteor V12 tank engine, gets a new Littlefield High Helix blower with K11- rotors. The team make everything light as possible, on the tractor. 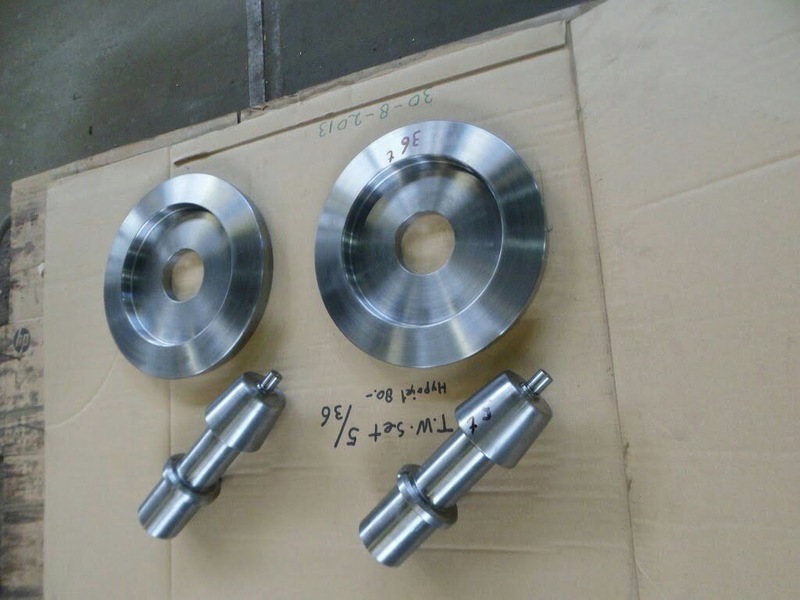 The Team want more weight on the front axle. 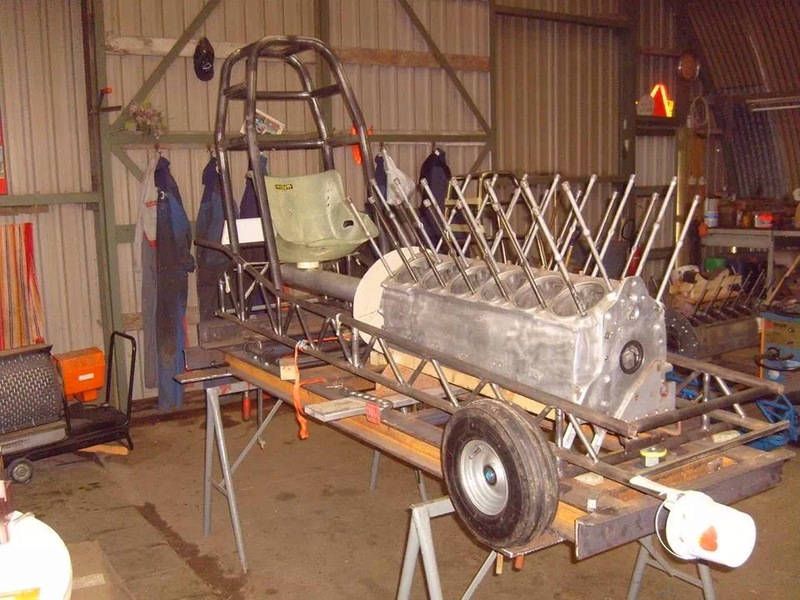 So, the RR Rover Meteor engine move 6,5cm more forward, than at the old chassis. Also, the Mini Rod gets a newly constructed planetary gear behind the engine and a new 2 discs clutch. 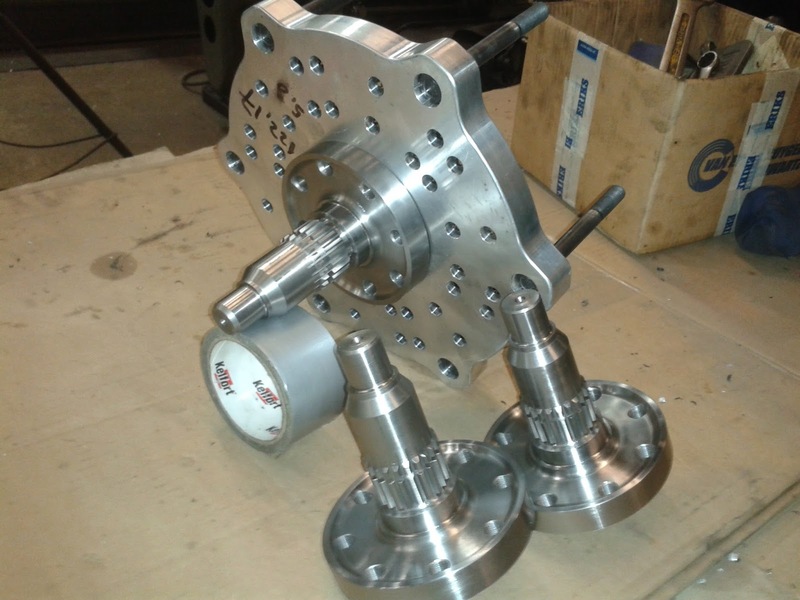 The Pegasus Pulling Team from Austria, are building on a new Mini Rod at the moment. The Mini is powered by a Allison V12 engine. 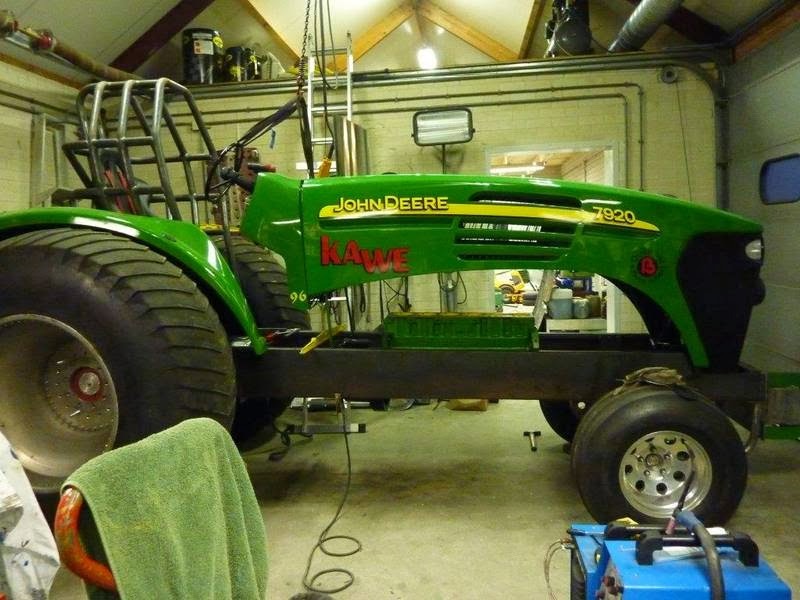 The tractor got a tube frame. The Team will compete in the austrian championships this year. 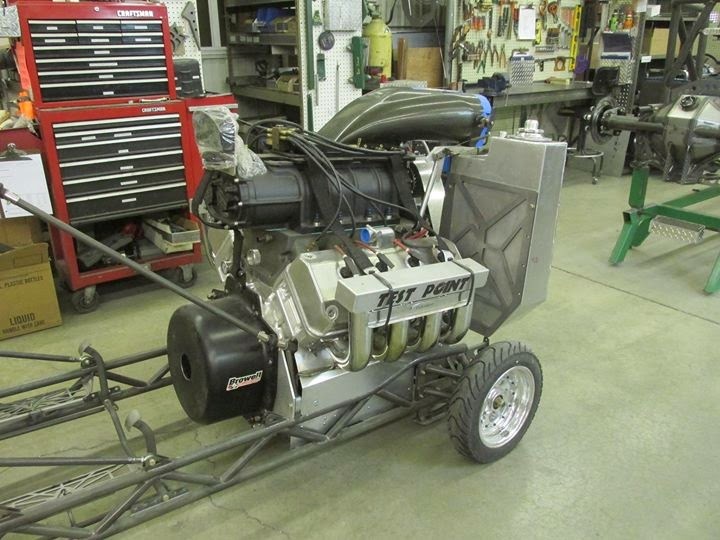 The first start of the new Allison Mini Rod is planned for 2014. The old Vampire was sold to the Bad Company Team from Germany last year. The Team comes from near Munich. The Team will compete in the austrian championships this year. The tractor got a new design over the winter and a new name. The new name of the tractor is Piecemaker. New in the Euro Cup 2014 calendar is Poznan in Poland, Budapest in Hungary and Pezzollo in Italy this year. Also new is the Euro Cup in Brande in Denmark. The event move from Herning to Brande this year. On the 30th and 31st August 2014, the European Championships will be held in Bouconvill, France. Grand National in Eext promotion video - on the 5th of July! 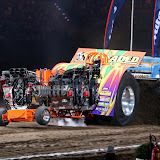 Facebook.... or "Tractor Pulling from a fans point of view"
Today I've received a friendly request from a Jamie Dabro on Facebook, whether I could support him a little. He'd have a Tractor Pulling page and might need a few more visitors. "Sure thing"... if somebody needs support and calls me, I usually try what I can. This means 22.000 people receive the stuff he posts on their timeline. "I started this Facebook page couple years ago. My meaning behind it was to cover some of the events that I go to throughout the summer across the Midwest. I take amateur pictures and sometimes posted results. 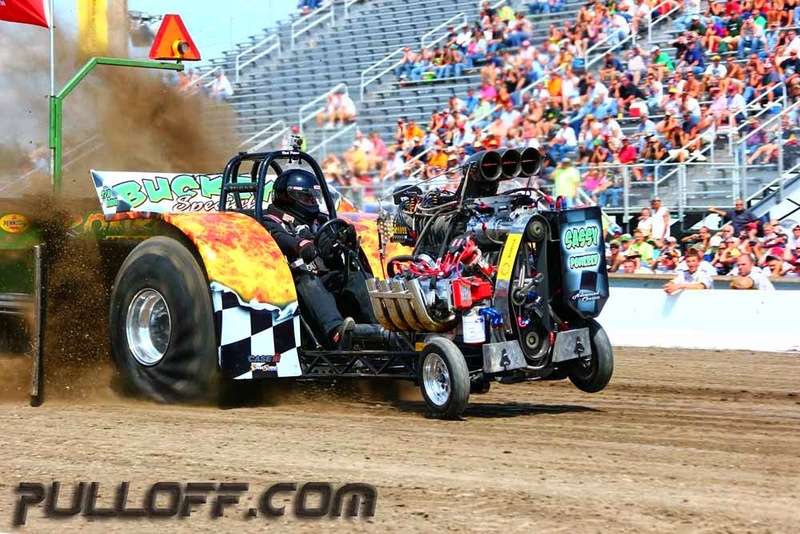 Mostly I share others post but the main thing about the page is I wanted to get the awareness of Truck and Tractor pulling up!" Well Jamie, with that many followers you've pretty much got THAT accomplished!